Like the Command block, which is an amazing resource to the Elderton Estate, the Ashmead block has consistently produced small parcels of excellent quality fruit. The vineyard was almost destroyed in 1997 to make way for higher yielding vines, however the family made the decision to promote the vineyard to a higher destiny – thus the Ashmead. The 2016 is the seventeenth release of this unparalleled wine, and is a superior example of Barossa Cabernet Sauvignon aged in a mix of new French Oak Hogsheads from about 8 different coopers. 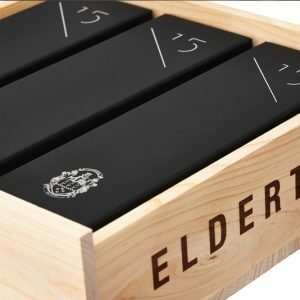 The Elderton Estate is not unfamiliar with premium Cabernets, having won more than 8 trophies for this varietal including the 1993 Jimmy Watson Trophy. The Elderton Vineyard, originally planted by the Scholz family in 1894, was planted predominantly with Shiraz; however in the early 1940s, Samuel Elderton Tolley (the owner at that time) decided to diversify and thus established some of the earliest planted Cabernet Sauvignon in the Barossa Valley. There are two blocks on the property that we believe to be planted in the 1940s, and both of these offer an outstanding viticultural resource to Elderton. Year in, year out, they both manage to produce an outstanding quality (albeit very small) crop of densely coloured and richly flavoured grapes. Today, we believe them to be amongst some of the oldest plantings anywhere in the world. Unfortunately, it is suffering greatly from the vine disease Eutypa (commonly known as dead arm), which has no known cure. As a result of this, yields are always naturally low; always less than a tonne an acre, and more often as low as half a tonne per acre. In 1997 the family sat down to discuss the viability of the block, as it was questionable at best. However, the saving grace was simply the pure brilliance of the fruit. It was, and is, always the standout Cabernet block on the property. The decision was therefore taken to reward the excellence of the single sites from the 1998 vintage, with a single vineyard release, named the ‘Ashmead’. The concept was, and still is, to take all time and cost pressures out of winemaking. 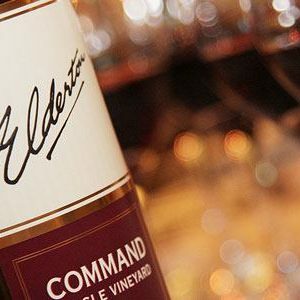 The Ashmead family wanted to show the world that Australia, the Barossa and certainly Elderton, can produce a world renowned and distinguished Cabernet Sauvignon. The hand harvested fruit was fermented in open top concrete fermenters with chilled ferments, hand pump-overs and cap submerging with oak header boards for eight days; the process finished with barrel ferment and malolactic fermentation in new French oak. The nose shows dark chocolate and black fruits and olives, with the palate continuing the theme, showing these typical Barossa Cabernet Sauvignon characters, giving weight and generosity to the wine. Ripe tannins add structure while being supple and mouth watering. Cassis, mint and licorice with a rich chocolatey finish. Ripe tannins add structure while being supple and mouth watering.